Practicing Law without a License: What Could Go Wrong? 1. Both documents are simple, fill-in-the-blank forms. How do I know that? The blanks. I have no idea whether the financial planner guy discussed with his clients the who, what, where, and why of filling in those blanks. For example, both the will and the trust provide spaces for appointing executors, guardians, and trustees. Was any discussion had about who should occupy those positions and why–maybe–they should not? 2. And about that guardian. The article in the will providing for the appointment of a guardian speaks only of acting on behalf of “a minor child.” The clients are both in their 80s. Obviously, the will was prepared especially for them–not! 3. 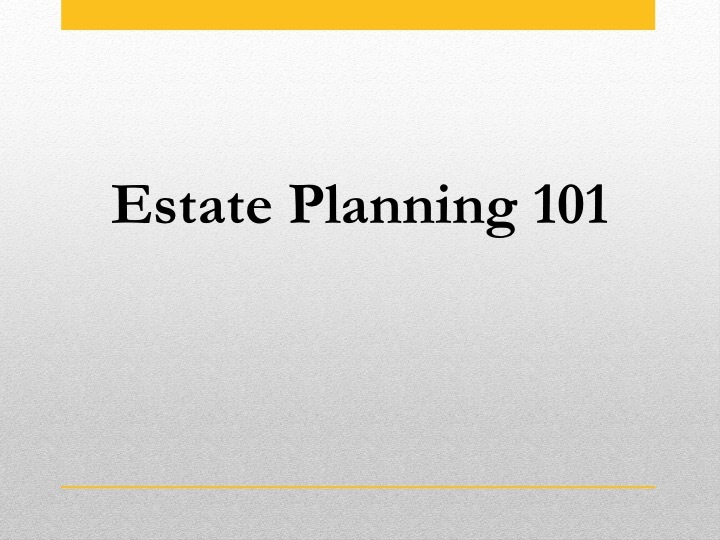 The will gives the impression that the executor has the power to administer the clients’s estate with little or no court supervision when, in fact, state law grants that power, but only if the size of the estate does not exceed certain maximums. In Utah, that maximum is $100,000. The provision is misleading and, frankly, unnecessary, especially given that the clients’ home is worth at least $400,000, well in excess of the $100,000 maximum for informal probate in Utah or $200,000 in Wyoming. In such cases, the law already allows a simplified probate variously called informal probate, unsupervised probate, distribution by affidavit and summary procedure, and the like. My impression is that the will in question makes a big to-do about this “power” so as to appear like it’s actually accomplishing something beyond wasting paper. 4. In Utah a will is valid if it is in writing, is signed by the testator (the husband), and is witnessed by two competent persons. In Wyoming, the requirements are virtually the same, though the witnesses must also be disinterested. This will has that, plus an affidavit that the testator is also supposed to sign and which, apparently, needs to be witnessed by three witnesses–and all these signatures are supposed to be acknowledged before a notary public. This is overkill masquerading as thoroughness and an indication that this is a one-size-fits-all-states document. Worse, the affidavit is poorly written. To wit, it says. Which instrument would that be? Arguably the affidavit. Since the affidavit is a separate document and because it refers to just any “Will” and not to the “Last Will and Testament of Joe Blow,” the word “instrument” is ambiguous and virtually worthless. 5. By the way, I see no “Last Will and Testament” for the wife. She is referred to in the title of the trust, but only by first name! The same goes for the signature line at the end of the trust. 6. The will is a so-called pour over will, a document that essentially directs that all property the testator owns at the time of his death goes into a trust, either a testamentary trust (one created by the will and which comes into existence at his death) or an existing living trust (a trust he created during his lifetime and which he’s been using while he’s alive). In this case, the trust is a living will. So far, so good. But here’s the problem: it is not apparent that anything has been done to ensure that the testator’s property has been transferred to the living trust. If that’s the case, then there will be formal probate and the living trust is of no value until the testator dies. NO VALUE. a. The lifetime dispositive provisions–the directions on income and property while both grantors are alive–are minimal and leave a lot to the imagination. b. The directions on what happens upon the death of the first-to-die are even more unclear and attempt to do a few things that I’m not sure you can do. Can a trust become irrevocable at the death of the first-to-die, but only as to certain property? I don’t think so. What should happen–and what often happens under a well-drafted trust–is that at death a separate trust is created for that property and that trust is irrevocable. The provision in the trust in this case is a mishmash of gobbledygook. c. The provisions regarding specific distributions of personal property or financial assets is likewise poorly drafted and confusing. To boot, the provisions introduces new terminology that is not defined elsewhere in the trust. As trustee, I could guess, but could I be sure that I’m doing the grantors’ bidding when such ambiguity exists? d. There is no discussion of marital deduction, applicable exclusion amount, portability, basis or other potentially estate and income tax saving concepts. I could go on. Did he even talk about durable powers of attorney? About health care directives? The list of potential problems is endless, bu I’m going to stop here. The closer I read the documents, the madder I get. And that’s without contemplating the very likely fact that little or no counseling took place when the financial planner handed this garbage to his clients. The grantors/testators paid good money for this mishmash of words, money they may never get back. As a person licensed to practice law in Utah and Wyoming, I have my differences with the whole idea of licensing, but what I’ve just described is a big argument in the other direction. And so, dear reader, CAVEAT EMPTOR. Buyer beware. Better yet, simply don’t buy. You can do as well as this guy by yourself. But when it comes to wills and trusts, you can do a lot better by talking to a licensed attorney, particularly one who practices in the area of wills and trusts. Trust me.